Spring is well and truly here; the days are warmer (sometimes) the nights longer and there’s an air of possibility and opportunity all around. I am delighted to announce that I have been appointed as the Resident Astrologer for GRAZIA Middle East (weekly) and GRAZIA Arabia (monthly). I am so honoured to have been given this amazing opportunity and I hope you all enjoy reading your horoscopes as much as I enjoy doing them for you. 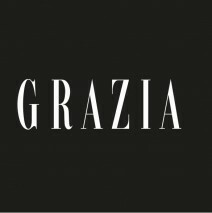 You can download GRAZIA Middle East for FREE on your iPad. In other news….. I, like many other crazy/brave people are taking part in this years Muddy 5K Race for life at Peterborough Showground, I’m not at all fit, and couldn’t really run for a bus, but that isn’t the point. It’s about taking part, being in the moment, supporting your friends and ultimately raising much needed money for the very worthy cause of Cancer Research. In my day to day life I meet so many people that are themselves or know someone who is affected by this cruel, senseless and ravaging disease. By joining forces and raising funds for vitally important research and treatment – Together we can make a difference and FIND A CURE. So please, If you would like to / are able to sponsor me, no matter how big or small – every single penny counts; then please, please and pretty please, click on the link below, if safe, secure and simple. Together we will beat it. Take the opportunity this month to do something that inspires you, motivates you and and gives you a challenge.